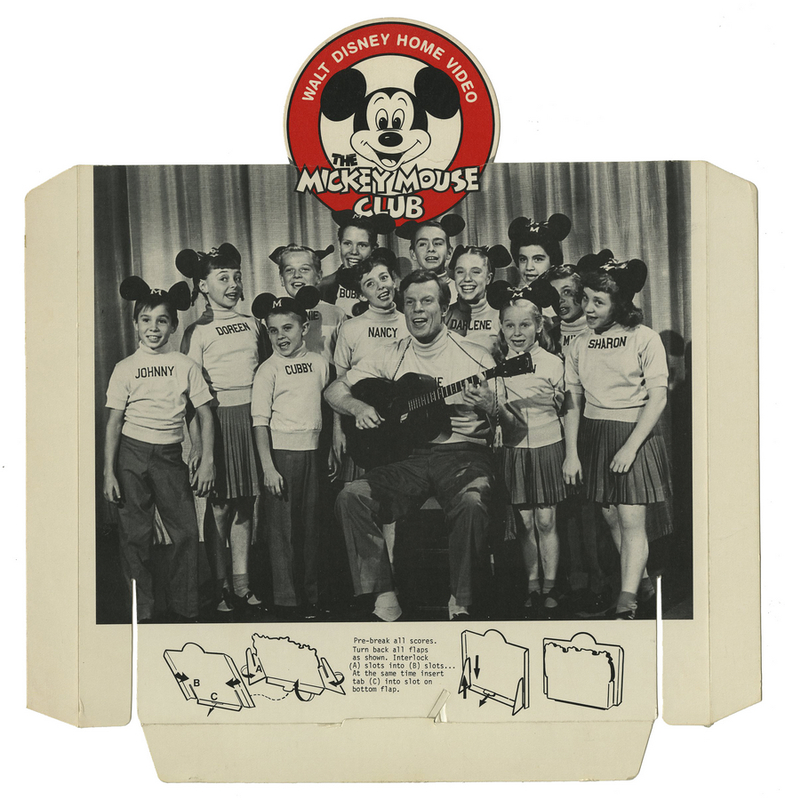 This is an original store display from the 1960s for the release of The Mickey Mouse Club on Home Video. The display is comprised of two parts which slide together to create a three dimension display. 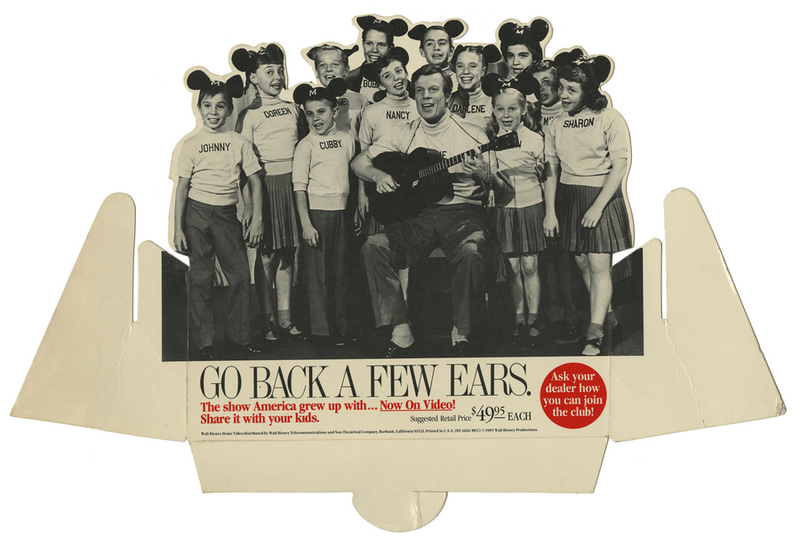 The photo shows many members of the classic 1950s cast including Bobby Burgess, Annette Funicello, Darlene Gillespie, Cubby O'Brien, Karen Pendleton, Doreen Tracey, and Jimmie Dodd. 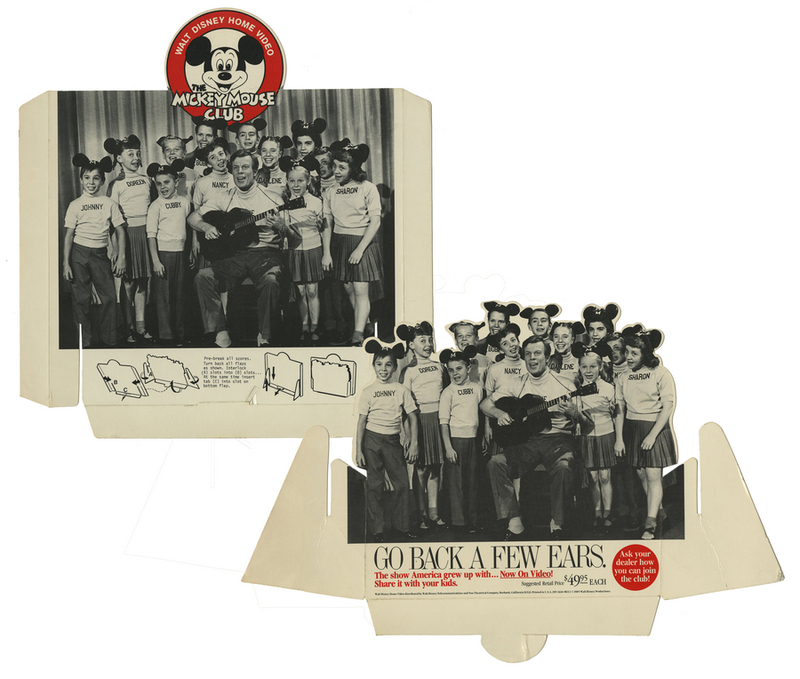 The display measures roughly 10.5" x 9" x 1" when constructed and is in very good condition.